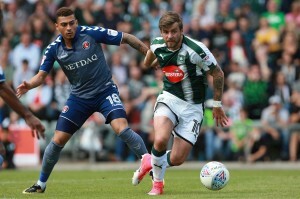 You can now enjoy Plymouth Argyle’s home games, and maybe a few away matches, in full, with commentary on most games. Watch replays of the important match action all on Argyle’s official TV channel for full match replays. Navigate through the matches and choose whichever game you wish to watch, on the system on any device, pay the viewing fee and enjoy every kick and move of the game. Or you can subscribe either monthly or annually and then you can watch every game. The service is available without any geographic restrictions (with exception of the FA Cup) – wherever you are in the world, you can sign up and watch. If you prefer, full match DVDs are available from the Argyle Club Shop for £10 – please note all the home matches are available, if not available to buy online on the Club Shop website yet call them to order, they are available usually within three days of the game being played.